My daughter is an open-minded, yet a family oriented person. She is positive and has a cheerful outlook on life. She is very passionate about her career but also maintains a great work-life balance. She is working as a Business Analyst in the biggest bank in Canada. She is very active socially and organizes multiple tech socials /cultural events in Toronto. She is an active swimmer, loves to go on outdoor activities and plays badminton in her leisure time. Though she is a modern thinker, she strongly believes in values given by her ancestors and parents. She loves exploring new places, reading and most forms of music.  She has completed Bachelors in IT from a reputed college in Mumbai with Distinction and holds Postgraduate Degree in Project Management and Business Analysis, parking herself in the Dean's list over the course duration. We come from an upper middle class, nuclear family with moderate values. Her father and mother both have retired. She has 1 brother and one sister, who is married.